We have regular music evenings in the pub. The Stag has been the go-to venue in the Old Town for traditional and acoustic music for many years, and we are proud to maintain that tradition. Look out too for our live bands (always free) – we book at least one every month, usually on a Sunday afternoon. Details of all gigs can be found on our Facebook page - like us on Facebook and Instagram for real time updates. Please call to check if the quiz is running on a Bank Holiday. 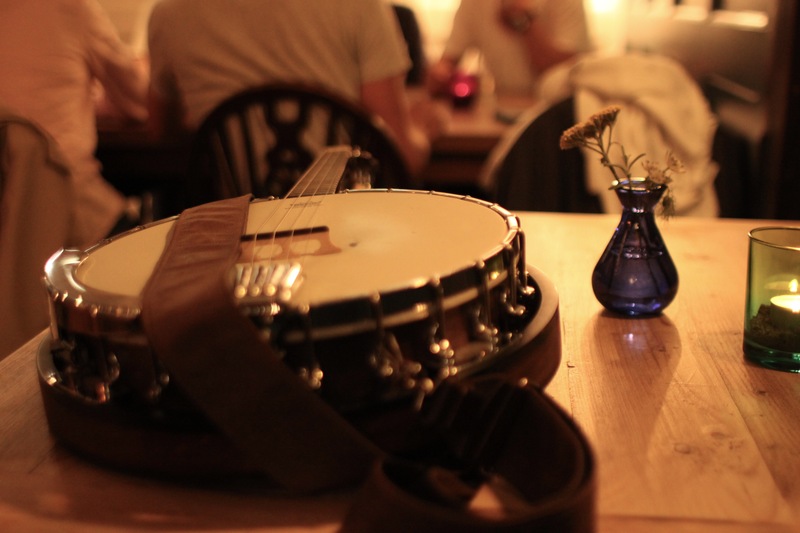 Hastings has an extraordinary wealth of brilliant musical talent and the Tuesday folk sessions showcase them at their uninhibited best, playing live for the joy of the song, with contributions from visitors and guests welcome. This session has been around for more than forty years, and you will be hard pressed to find anything like it anywhere else. Never the same, always fun. Come and join the boys for an evening of country and bluegrass music – with (optional) dancing and impromptu whoopin’ and hollerin’ (often from behind the bar …). Guitars, banjos, sensational stand-up bass and the occasional fiddle all make appearances on this eclectic musical evening. This authentic good time is a unique experience – why not book for dinner and stay for the session? On the first Thursday of every month Dale Smith hosts a convivial open folk acapella song session in the dining room after dinner. Come and open your lungs and join in, or just sit and listen to an entrancing evening. On the second Thursday our barman and Hastings legend (or so he tells me..), Mark Weaver, hosts an anything-goes song session. Folk flavoured but encompassing all styles and even the odd guitar. It’s an evening of great music and enjoyable banter. On the third Thursday of every month we are joined by RATTLEBAG, a local acapella singing group with a growing reputation. This ladies only singing group have reduced grown men to tears …. On the fourth Thursday of the month it’s the turn of John Revell who hosts a Folk and Blues Club. Musical accompaniment welcome. An intimate (although sometimes raucous) evening of music and song held in the back bar of The Stag.